Despite the bankruptcy reforms enacted in Colorado in 2005, Chapter 7 still remains the most expedient way to handle severe financial distress where bankruptcy is deemed a viable option. The Colorado bankruptcy lawyer at Ores Law is well-versed in these changes and how they can affect your case. 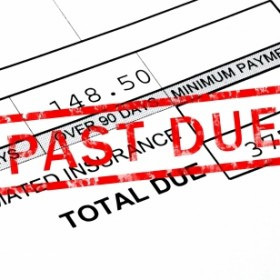 When your schedules are accurately prepared by a reputable Colorado bankruptcy attorney, and your means testing is calculated carefully, your bankruptcy will usually be discharged within 90-120 days of your filing, and with no obstacles arising. You will be able to walk away from your debts, and commence your financial restoration without further anxiety. If you are looking for an experienced bankruptcy attorney in Loveland, Colorado, or anywhere in Northern Colorado, we would be happy to consult with you. Discussing which Chapter you need to file with your attorney is essential, and it is important that you understand the differences between Chapter 7 and Chapter 13 in order to work to your advantage. Chapter 13 Bankruptcy is based in part on your ability to repay your debtors based on certain legal criteria; its filing can stop foreclosures, address mortgage and certain tax liabilities, as well as stop enforcement of judgments and collections. Although Chapter 13 bankruptcy is a plan of financial reorganization, it is not a method by which you must repay all your debts through restructuring them. At Ores Law, we see to it that you understand all of the implications and variables so that you can make an informed decision as to what are right for you.